This is the final post in our saving for different stages of life series. 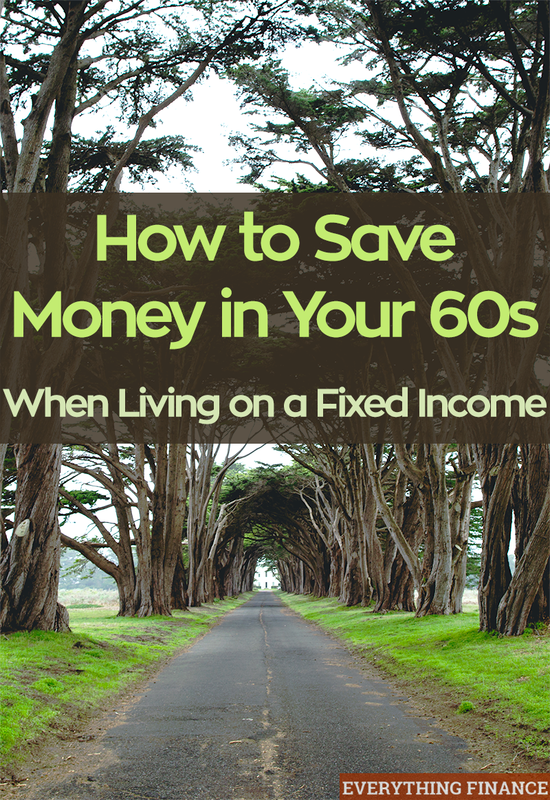 You can go back and read about how to save in your 30s, 40s, and 50s. You’ve finally made it to the end of your full time working career! Are you ready for retirement in your 60s and beyond? If you’re planning on retiring before you can take social security, or want to nail down the final details of your retirement plan, we’re here to help. It’s important to consider what your retirement will look like as you begin this new chapter in your life. Key aspects to consider include annuities, pensions, and living on a fixed income, as well as finding new ways to save now that you’ve left the working world. Let’s dive in. If you’re looking for a way to receive a steady stream of income in retirement, or to boost your retirement savings, an annuity might be for you. Annuities are insurance products which can pay in monthly, quarterly, annually, or lump sum amounts. As with retirement accounts, you contribute a set amount of money to the account, and it retains interest for a fixed period of time before you draw from it. Why might an annuity be attractive? Since you’re now trying to rely on your existing investments, an annuity might be a good way to continue diversifying your money. An annuity as part of a long-term, well planned retirement strategy may be a wise choice for your situation. Deferred Annuities – This type of annuity helps with retirement savings. If you’re at a point where you’ve maxed out your IRA or 401(k) plans, a deferred annuity is a good option because it compounds interest over time and is a tax-deferred investment. However, like other tax-deferred plans, early withdrawals may include penalties, so read the fine print and review your options. Income Annuities – A good option closer to retirement, income annuities can provide you with income for life or for a set period of time, depending on the plan. These annuities can come in variable or fixed amounts which may adjust with inflation. The advantage here is that adjusting for inflation allows you some stability when the market is volatile. Although annuities may appear to be an attractive option, like any investment, they come with some disadvantages that may not be attractive to all investors. According to CNN Money’s Ultimate Guide to Retirement, annuities may be expensive to some investors, and they may be a tool financial planners and insurance salespersons use for retirees that may not be a good choice for their portfolio. In some instances, annuities provide the salesperson a high commission, so they have an incentive to sell them. This can create a conflict of interest, so make sure you have them explain the reasoning behind their recommendation. Only you, your spouse, and your retirement planner can determine if annuities are right for you. Do you currently have an annuity, but want to know its value in today’s dollars? Use Todd Tresidder’s Present Value of Annuity Calculator to help give you a bigger picture of your finances in relation to your future income stream. If you’re lucky enough to have an employer who still offers a pension, you may find yourself with steady, reliable payments as part of your portfolio. Like annuities, pensions come with more than one payment option. Lump Sum Pension Payment – If you find you’re managing your finances well, and have the option to do so, taking a lump sum pension payment may be advantageous as you approach retirement. According to Bankrate’s article on taking a lump sum payment in retirement, your purchasing power today may be more potent than ten or even twenty years from now if you take the lump sum. It may also be rolled over into other retirement accounts, like an IRA, and can reduce your taxable income once you do begin to withdraw from the account. Monthly Pension Payment – A monthly payment may be a good option for you in retirement if you feel insecure about your savings cushion. A steady income you can rely on may let you rest at ease while you find other ways to make the most of retirement savings. Now that retirement is close at hand, understanding Social Security and what age you can draw from it are crucial. While you may be tempted to take Social Security as soon as possible (you can begin to draw from it at age 62), you might want to consider waiting until after age 65. Although drawing from Social Security at a younger age may be appealing, you’ll receive a smaller monthly payment. According to a U.S. News & World Report Money article, you will receive 25 percent less per month than you would at your full retirement age of 66. Waiting until you’re older to draw from Social Security increases your payment by over 30 percent. Not sure if an early withdrawal or a later one is right for you? The socialsecurity.gov website can help. Create an account and you can use the website’s charts and calculators to help with your decision. Many factors may come into play, such as your current retirement savings and your health, so everyone’s needs are going to be different. Think over your strategy carefully as you begin to consider what retirement will look like for you. Do you have a spouse that’s close to retirement? Making the decision to pull from Social Security early can affect them, too. If you want to draw early, it decreases spousal benefits, too. Consider the following factors when deciding if you or your spouse should take social security early: your total earnings together, your ages, your life expectancy, and your joint retirement goals. You must communicate with each other about retirement plans as this impacts both of your lives. Now that you have to think about life after retirement, you must consider how living on a fixed income will affect your life. If your job was salaried, this may be something you can adjust to easily. However, if you worked hourly and were used to being able to work overtime if you needed the money, this adjustment may be challenging. Rent rather than buy a home – If you don’t own your home outright, downsizing to a rental can be a good way to live on a fixed income. Since you won’t have the upkeep of a house to deal with, you can also cut down on the unexpected expenses that could derail a budget relying on a fixed amount of money. Many retirees move to condominiums and townhouses in order to cut down on housing costs, or they might join communities geared towards their needs which have other retirees just like them. Get rid of your car – While it might be challenging to hand the keys over, like your home, your vehicle can also carry unexpected expenses. Additionally, vehicles will require you to spend on regular maintenance, insurance, registration, and possibly inspections. If you move to an area with public transportation or a more walkable neighborhood, you can reduce your expenses and make your way around town. Depending on your situation, getting rid your car might not be feasible. However, the option to reduce your larger expenses should be attractive enough to you to at least think about how much you could save without a car. At the very least, consider if you can make do with one car. Change your food habits – Cutting back on expensive junk food and cooking more meals at home is a good habit to get into when you’re transitioning to a fixed income. Reducing purchases like alcohol and tobacco can also give you more money, so keep these expensive habits in mind as you look to cut costs in retirement. Making changes to food and other consumption habits also provides you a more stable food budget and savings that can pay off when you have less money to rely on long-term. Take control of your health – Doing healthy activities, such as walking more and joining social programs that enrich your relationships, will provide a better experience as you move into a new stage of life. Finding low cost or free hobbies and programs is the best way to improve your mental, physical, and spiritual health without harming your budget along the way. AARP’s Retirement Planning website offers a number of low cost but fun ways to enjoy life while living on a fixed amount of money. Saving money in your 60s can be daunting, but it’s not impossible to make lifestyle changes that provide you with more income and a happy retirement now and in the years to come. I am into taking care of my retirement savings. But, I still have no concrete figures I would like to have. I have already increase my contribution to 401(k) and made some investments. I think I would also watch the food I eat and kinds of exercise I do. Thank you for introducing the AARP’s Retirement Planning website. Such a big help.